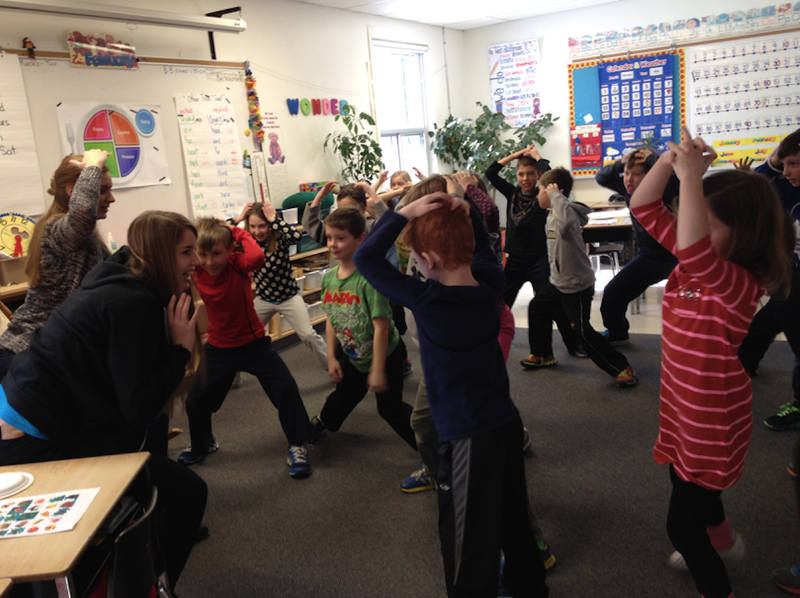 We’re sad to say today was our final wrap-up outreach event at Salem Public School in Elora. 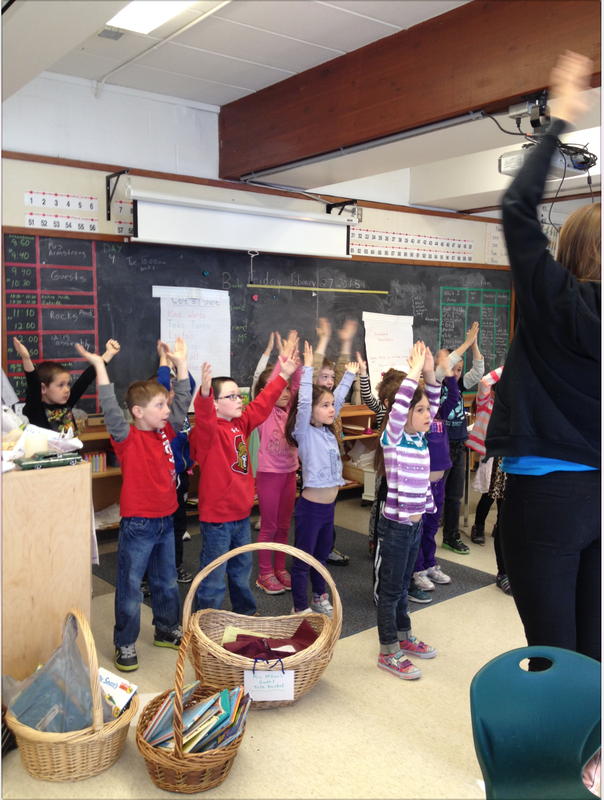 We had the pleasure of joining two classes for our fun-packed nutrition workshops. 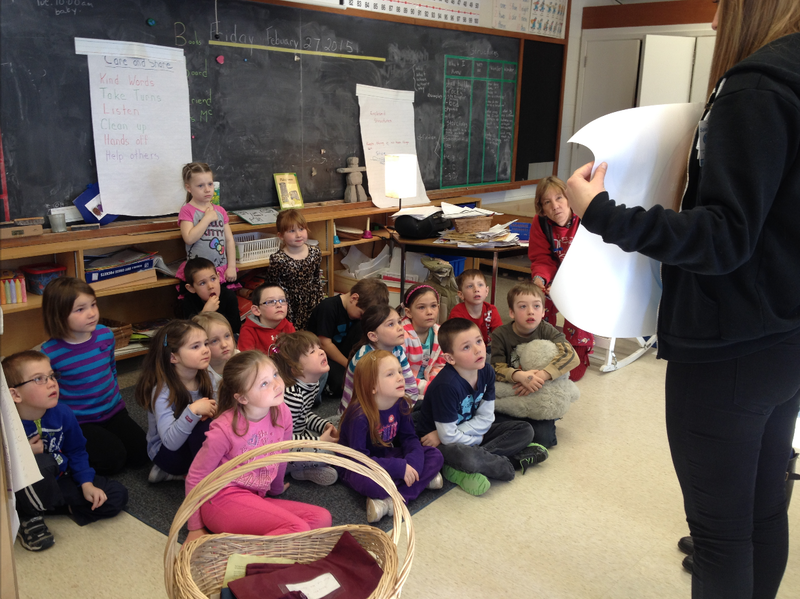 We started off the morning in Ms. Carolyn Alexander’s grade 2/3 class. We were pleased to learn the children were very knowledgeable about Canada’s Food Guide and the Balanced Plate model. 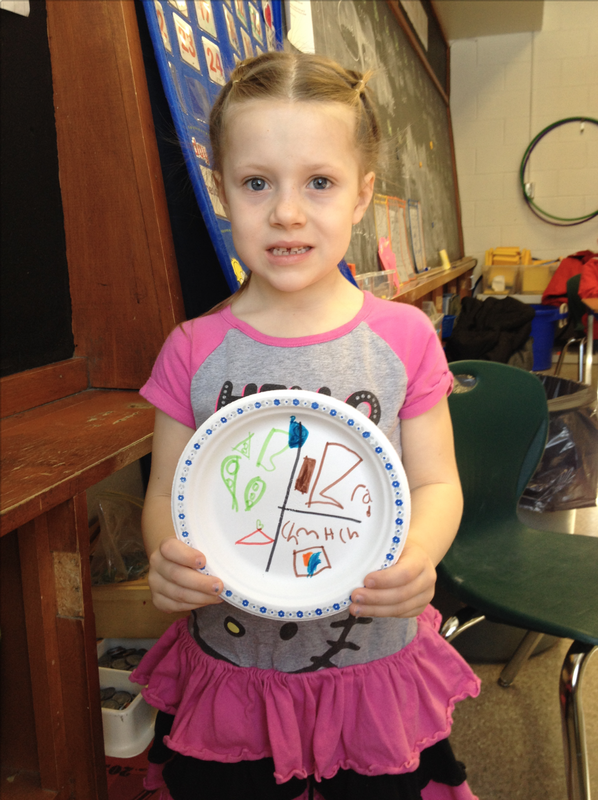 This allowed us to jump right into drawing the their own balanced plate which everyone had a lot of fun with! We found some pretty obscure plates containing combinations of lots of cucumbers, oranges, chicken, almond milk, peanut butter and crackers. Rebecca then lead a talk about local foods and what it means to eat local. We got some great answers about what foods aren’t local and the children came to the conclusion that tropical fruits usually aren’t local. It was great to learn that almost all of the children had a garden at home they helped their parents with. Our final activity was fruit and vegetable yoga, which is always a hit with the children. We learn to “be” the banana, peel the banana and be a growing carrot sprouting out of the ground. This is a great outlook for the children to get all their sillies out before their next class. At around 9:40am we moved to Kathleen Mcirr’s grade 1 class. It was a nice slowing of pace, working more closely with Canada’s Food Guide and what foods fit in each of the 5 categories. It was a great learning activity to show the children pictures of foods and help them work through which category they would fit in. 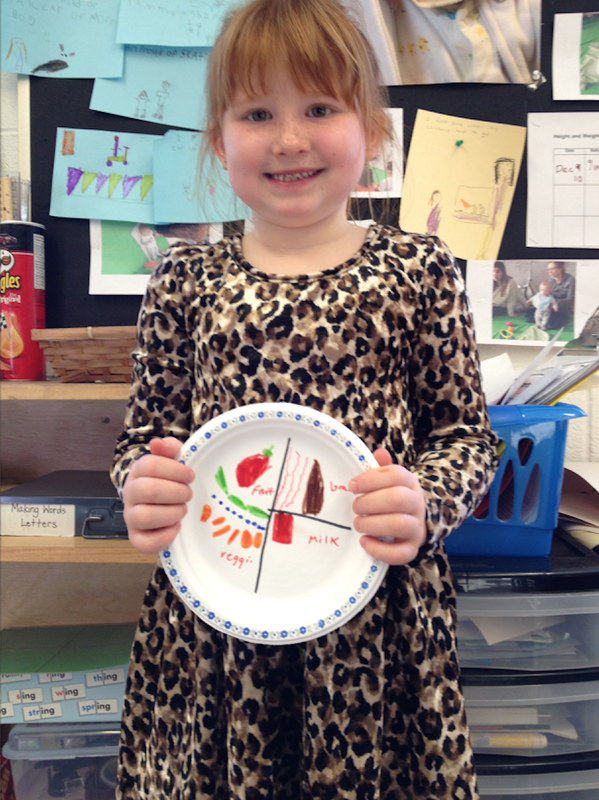 The children were very excited to create their own balanced plate, which they could keep and take home. Before we had to leave, we created healthy eating pledges on small cut out leaves, which we taped on a tree. This created a growing tree of pledges for the children to make a pledge to themselves about eating healthier. We finished again with fruit and vegetable yoga and everything was wrapped up by about 11:00am. We’re sad and excited to be wrapping up Garden 2 Table for this year. We know we’ve learned a lot over this year and hope we’ve made a difference to the youth in the community. We have felt very fortunate to work with so many enthusiastic children in the garden, the cooking lab and in the community. Thanks to everyone who has supported us and followed our blog over the past two semesters!